Sacramento Intersection Bicycle Fatality – A Sacramento bicycle fatality occurred in the early hours of the morning at Gerber Road and Reese Road in South Sacramento after the rider was struck by a vehicle. According to the California Highway Patrol (CHP), the bicycle rider died at the scene of the accident. The identity of the deceased has not yet been released, pending a release of that information by the county coroner. The vehicle that struck the bicyclist was a Toyota Camry, and the accident happened just before 6:00 a.m. 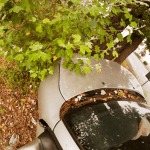 The Sacramento Fire Department, along with emergency medical personnel, responded, and a tow truck was called to clear the scene. The CHP is investigating the accident to determine fault. In 2015, the last year for which comprehensive data is available, 231 cyclists suffered serious injuries or were killed in Sacramento, making the city rank 6th out of 15 similarly sized cities. Bicyclists under the age of 15 made up almost 8 percent of the total number. In the wider Sacramento County area, 11,710 people were injured or killed. Of these, 620 were bicyclists with the county ranking 11 out of 58 counties. Of the 620, 80 were adolescents under 15 giving the county a rank of 11 out of 58. The number of bicycle deaths has decreased 17 percent since the mid-70s but has increased beyond their low point in 2010. Those killed in bicycle accidents tabulated in 2016 caused by negligent motorists involved cyclists older than 20 by a factor of 87 percent. The overall number of cyclists under this age who died is considerably less than the number in 1975. Generally, more male cyclists are killed than female, although the number of both have increased regularly since the mid-90s. The majority of bicycle fatalities occur in June, July, August, September, and October. Most bicyclist deaths occur between the hours of 6:00 and 9:00 p.m with a high number happening in between 9:00 p.m. and 12:00 a.m. Overall, 71 percent of all cyclists die in urban environments. This is a departure from the 50-50 split of rural and urban areas in 1975. The majority of deaths happened in non-intersections. Make sure the bicycle is the right size for you. Use a bicycle height chart. Use a proper bike helmet. Make sure the type of helmet for your activity on a bike is appropriate. For instance, there are helmets for racing, commuter transport and riding recreationally. Make sure the bicycle is working properly. Check your tires, lights, and brakes before starting out. I’m Ed Smith, a Sacramento bicycle accident lawyer. If you or a family member is hurt in a bike accident because of a driver who was negligent, I am here to offer free and friendly legal advice. I can be reached at (916) 921-6400 here in the Sacramento area. You can also contact me at (800) 404-5400 on my toll-free line. Because I join other top trial lawyers in having garnered a verdict or settlement in excess of one million dollars for a client, I was able to join the forum at Million Dollar Advocates. 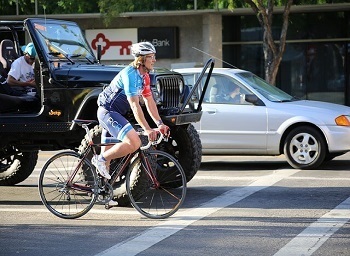 Photo Attribution: ab / Sacramento Intersection Bicycle Fatality.